Why should Georginio Wijnaldum join Newcastle United? Over the last few days, Georginio Wijnaldum has been heavily linked with a move to Newcastle United in both the British and Dutch press. Although there have been differing reports, there is definitely talks going on between the two clubs and some sources such as the Daily Mail suggest that a deal has been agreed between Newcastle and PSV Eindhoven. Some observers have commented their surprise that Wijnaldum would consider a move to Newcastle, especially after such a good season captaining PSV to their first championship since 2008 writes Jake Jackman. The Eredivisie has always been a league which has some excellent young players, and Wijnaldum has been one of those for a number of years now. However there has to be a time when players leave Holland to try and reach the very top of the game as sadly the Eredivisie isn’t the platform to do that. The rumours about Wijnaldum have created a buzz on Tyneside as he is a very exciting player, who will bring goals and assists to St James’ Park. He is a number ten, who can also play in central midfield and on the wing, making him a versatile option in the final third for Newcastle. It isn’t a position that Newcastle need to strengthen, but the Dutchman will add quality and competition in the attacking positions and that is never a bad thing. Steve McClaren has a good knowledge of the Dutch game after managing FC Twente on two separate occasions and he has had a big role in Newcastle’s decision in chasing Wijnaldum and this suggests he has a role in mind for the PSV captain. He scored 14 league goals last season and contributed 3 assists. The Premier League is a physical league, and Wijnaldum has the pace and strength to adapt quickly to the league. He is a skilled dribbler, who likes to run with the ball at pace. The main strengths in his game are his dribbling ability and his quality when it comes to playing through balls to his team-mates. The Dutchman isn’t the best when it comes to the defensive side of the game, and he will need to work on his tackling especially if he does join Newcastle. The key reason for Wijnaldum to consider a move to Newcastle is that it would allow him to play regularly in what many consider to be the best league in the world. The midfielder has the ability to play for one of the biggest clubs in Europe, but they won’t be willing to pay the money for him until he proves himself in a bigger league than the Eredivisie. The likes of PSG and Manchester United have been linked with the midfielder recently, but Wijnaldum would be far from guaranteed regular first team football at these sort of clubs. Newcastle may not be in European competition, but they are televised across the world and there is a clear path to Champions League clubs as Yohan Cabaye, Loic Remy and Mathieu Debuchy have showed in recent seasons. 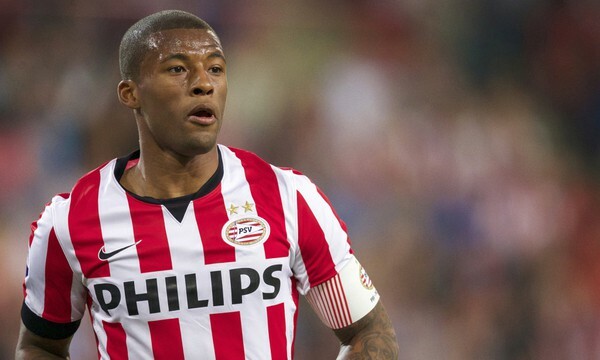 Newcastle are pouncing now for the playmaker due to Wijnaldum’s own desire to leave the Eredivisie which gives the club more leeway to get the midfielder for a better price. In January, or last summer, it would have been much more difficult for any club to sign Wijnaldum, but the game is becoming more centred on player power and the progress made in this transfer highlights that. If he does make the move to St James’ Park, it will be a good environment for the midfielder as he will be surrounded by fellow Dutchman in Vurnon Anita, Tim Krul, Daryl Janmaat and Siem de Jong, which will allow Wijnaldum to settle quickly into life in the North East. Playing in a side with fellow compatriots will mean that he still has a great chance of playing a huge role for the national side. Tim Krul and Daryl Janmaat have remained part of Holland squads throughout their time on Tyneside, showing that moving to Newcastle wouldn’t dent Wijnaldum’s Euro 2016 hopes. The reason Newcastle will appeal to the PSV captain is that it will give him the platform to perform on a bigger stage and attract interest from Champions League clubs. If he remains at PSV, he would have to impress these clubs in the Champions League, which may only be the group stage for the Dutch club, which only gives the midfielder six matches to impress. Click on Jacob’s name above to follow him on Twitter. ← As Mitchell Dijks returns… is the Ajax system failing?